Home Collecting Youtini – The First Ever ‘Star Wars’ Book Subscription Box Has Launched! 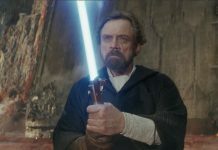 Youtini – The First Ever ‘Star Wars’ Book Subscription Box Has Launched! 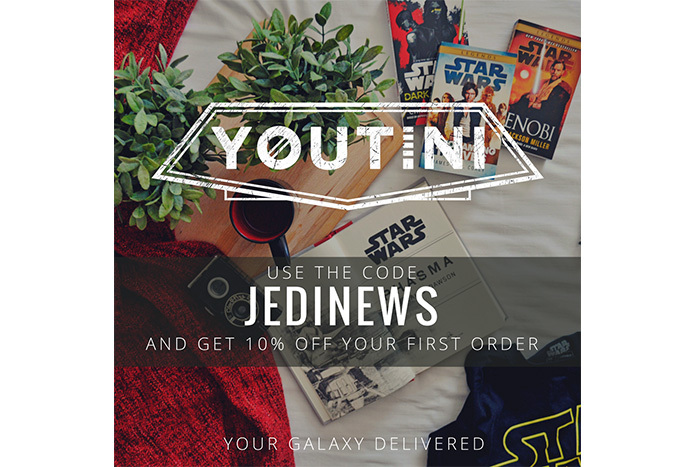 The new Star Wars book subscription box from the team at Youtini has just launched and you can save 10% off your first order with Jedi News using the code JEDINEWS. Here’s a reminder of what the service offers…. Every month we will ship Star Wars books right to your doorstep – Canon OR Legends material – along with official Star Wars merchandise & Youtini-branded gear. Our first shipments will go out in early February, and you can choose from a Canon Bag for $29.99 or Legends Bag for $15.99. You can sign up now, and we look forward to reviewing the first box when it arrives ion early February – happy hunting! 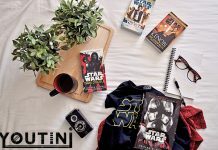 Youtini – The First Ever ‘Star Wars’ Book Subscription Box!